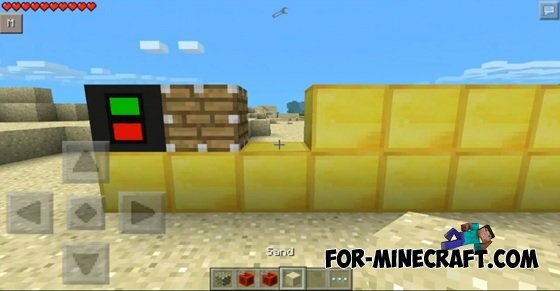 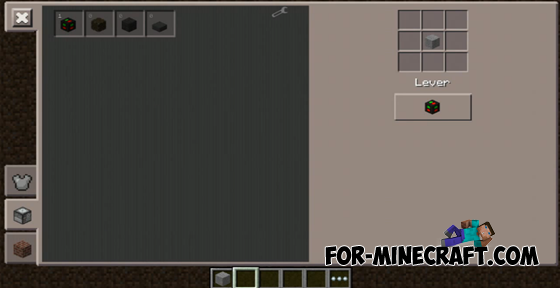 This mod adds buttons, levers, pressure plate, pistons, piston sticky, redstone and repeaters. 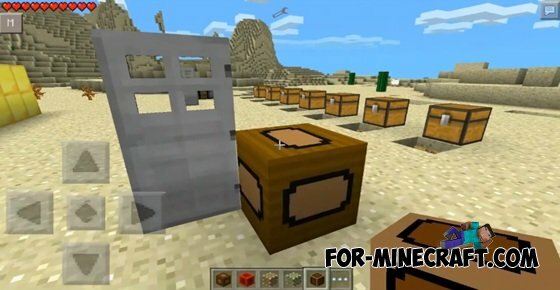 And this mod acts as on the PC, it can open the door (even iron), manholes and can even ignite TNT, the piston can push the block. 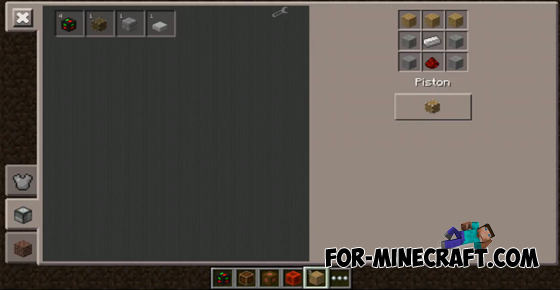 Sorry, I'm too lazy to tell you recipes crafting. You can use the mod toomanyitems, see recipes. 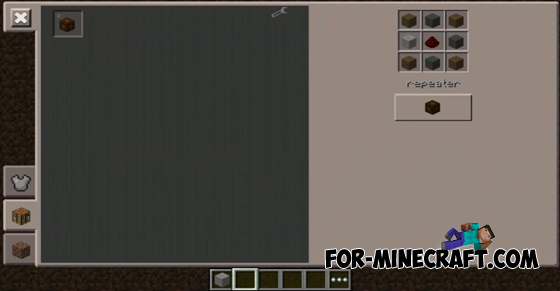 Mod uses texture pack.